Please note that the content of this book primarily consists of articles available from Wikipedia or other free sources online. The Amazing Scarlet Spider is the name of a short-lived comic book series starring the Scarlet Spider. It was published by Marvel Comics for two issues, from November 1995 to December 1995. 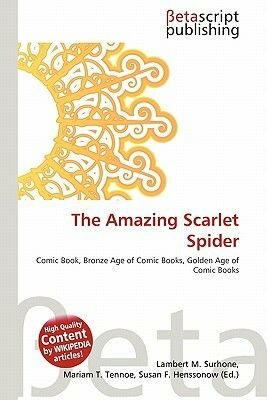 The book was a direct continuation, in terms of creative teams and storylines, of the series The Amazing Spider-Man which the title replaced for two months between #406 and 407. It was one of four briefly published books which featured the character. The others were The Spectacular Scarlet Spider, Scarlet Spider, and Web of Scarlet Spider.